Hey Adventure Foot readers! Oh, how I wish there were more hours in the day. I’ve got tons to blog about, but as it turns out, I’ve had my Adventure Foot out the door so much lately that I’ve been having trouble finding the time to write. Expect several really cool blogs soon including one about bee keeping and backyard chickens, as well as a review of the Peoria River Trail of Illinois (a multi-use recreational trail) that I cycled last weekend. Those blogs are going to have to wait though, as I’m preparing to leave for one of my biggest adventures to date: the McNaughton Trail Ultra Marathon. If you haven’t read about friend, Ultra-Runner, and Adventure Foot Contributor Jared Busen here on my blog, you’ve got a little catching up to do, my friends. Now I don’t usually get bossy with my readers (because I appreciate that you’re reading…) but I’m serious you guys- click this link and read my first article about Jared from last year. I get a report on how many people click links…and I’m going to be sad-faced if you don’t click over and check the article out. 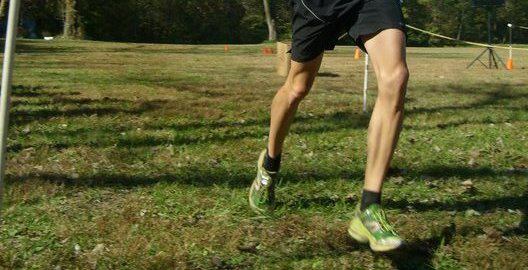 Also, read his race report from his 150 mile at McNaughton from 2011 by clicking here. You read those and then come back, okay? Okay- all done? Jared’s awesome. Am I right? 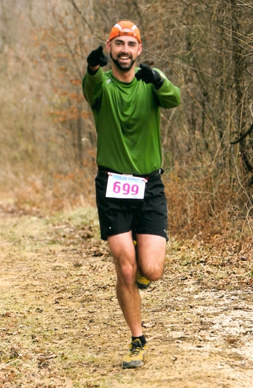 This guy has run (and won) some of the longest, hardest races that my newbie running mind can even comprehend. And he’s done it all with class, humility and an infectious attitude about running that makes those around him reach for new heights. I’ve taken the mantra of “continual forward progress” into every training run and every race I’ve run since that day. I’m a slow runner, and always being at the back of a pack can be really discouraging. What Jared helped me to see is that it’s really not all about speed. Whether it’s me running a half marathon or him running hundreds of miles, it’s about seeing personal improvement all the time and working hard towards a big goal. And Jared’s goals are big. Really big. His goal this weekend? 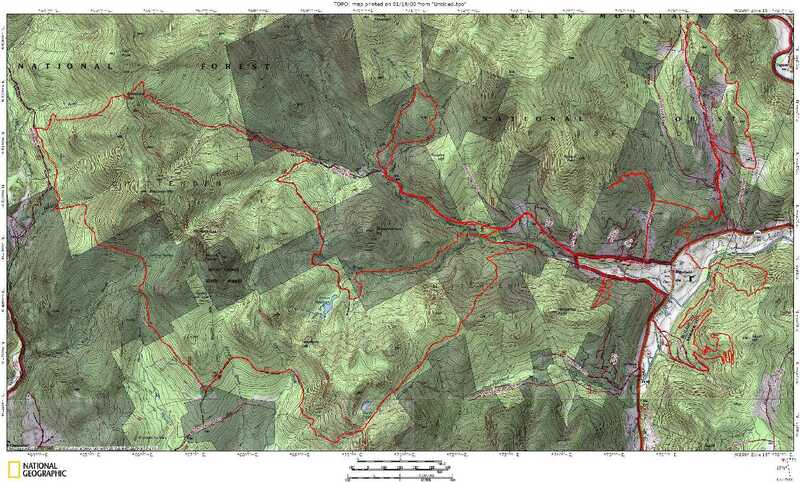 Running two-hundred miles in Vermont’s Green Mountains. This is Jared’s second outing at McNaughton. Last year, he won the 150 mile race with a time of just over 50 hours. This year, he’s been training with two of the best Ultra Runners in the world- Shaun Brassfield-Thorpe and William Sichel– and he’s coming into the 200 mile race smarter, stronger and faster than before. He’s worked incredibly hard, and I know that he’s going to run a great race. And in his corner is a small but dedicated crew- which includes yours truly! That’s right- I’m headed out to Vermont to help Jared reach this monumental goal. I’ll be on the “day crew” helping to provide nutrition, hydration, gear and support for his race from 6am-6pm. And at night Jared will still be running, the night crew will take over support, and me? Oh… I’ll be doing something just plain crazy: running 30 miles myself. Yeah, that is the furthest I’ve run and yeah, I am a little crazy. During the 55-ish hours that Jared will be running, I’ll be completing 3 laps of the 10 mile course and hopefully earning an Ultra Marathon finish. I’ll basically be doing 10 miles a day for 3 days in a row. I’ve been training hills, trying to learn to love them, and putting the miles on the Mizzunos, but I’ve got no idea if I’m ready for this. 30 miles, even over 3 days, is easily one of the toughest goals I’ve ever put in front of myself. I’m both intimidated and emboldened by the challenge, and am truly looking forward to the experience. Jeff Spencer will be accompanying me to Vermont and will pace Jared for 50 miles of this race. Jeff is a solid runner with many races under his belt and will help keep Jared going when the going gets tough. It’s going to be a big challenge for Jeff too though, and I know that we are both trying to get our game-faces on for McNaughton. The race director for this Ultra is Andy Weinberg, who is the mastermind behind some of the toughest races in the world. How tough did he make McNaughton? 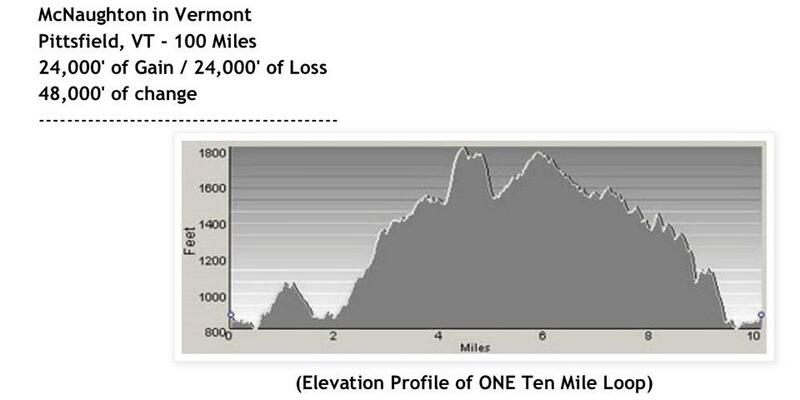 Well, each 10 mile loop of the course will have a gain and loss of 2400 vertical feet. That means in my 30 miles, I’ll have +7,200 feet, in 50 miles Jeff will have +12,000 feet and Jared will have +48,000 feet of gain and loss. Need that in perspective? Mt. Everest, the tallest mountain in the world, is 29,029 feet tall. Mt. Kilimanjaro, the tallest mountain in Africa is about 19,000 feet tall. So yeah, he’ll basically be climbing them both- stacked on top of each other. Lest you think Jared is the craziest runner out there, I might also mention that 5 people are already on the course right now attempting to complete 500 miles. In 500 miles, they’ll be climbing 120,000 vertical feet- that’s Everest + McKinley + Kilimanjaro+ Kosciuszko+ Carstensz Pyramid+ Elbrus. Those are 6 of the “7 Summits,” or the highest mountain peaks on each continent. The time limit for these athletes to complete 500 miles and that huge amount of climb is 240 hours (10 days). In the history of the course, no one has ever completed the 500 miles in the time allowed (Which in previous years has been 9 days. A 10th was added this year for the first time.) I think this year will be the year for a finisher. So there you go. I leave for Vermont tomorrow and I can’t wait to tell you all how it goes. If you’re a Twitter user- please follow Jared’s Twitter feed throughout the race @runhappens I also am planning to try to “live blog” from my iPhone while I’m crewing. I don’t know how to do that, but I did download the app, so I shall give it the old college try. To follow live blog, I guess just check back here often! Or follow Adventure Foot on Facebook. 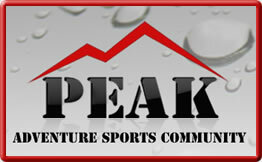 For more on Peak Races including McNaughton, The Death Race, and Warman Cycling Event, click here!